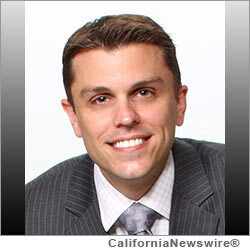 SAN DIEGO, Calif. /California Newswire/ — MCT Trading, Inc. (MCT), a recognized leader in mortgage pipeline hedging and risk management services, announced that Kerry Masterson has joined the company as Regional Director where he will be responsible for growing and managing the Midwest territory. "Kerry is a strategic senior sales professional who has a consistent record of developing new accounts using a highly consultative approach to prospective clients," said Bill Wooten, National Sales Manager at MCT. "He possesses expertise in an array of different areas of mortgage banking and has a unique ability to quickly build rapports and establish lasting relationships. We are lucky to have someone of Kerry's talent join the sales team at MCT and we look forward to working with him to establish a strong presence in the Midwest." Kerry has an extensive background in correspondent and wholesale lending working with new and existing mortgage banking clients. Before MCT, he was an account executive at PHH Mortgage where he significantly grew the active customer base and origination fundings within his territory in under a year. Prior to PHH, Kerry held several positions in the correspondent division of Citi Mortgage. At Citi, he achieved team-leading sales results year-over-year in new client acquisitions, surpassing his target goal by more than 150 percent. Kerry also spearheaded a diverse range of programs and projects leading to improved market presence, increased annual profitability and expense reductions.